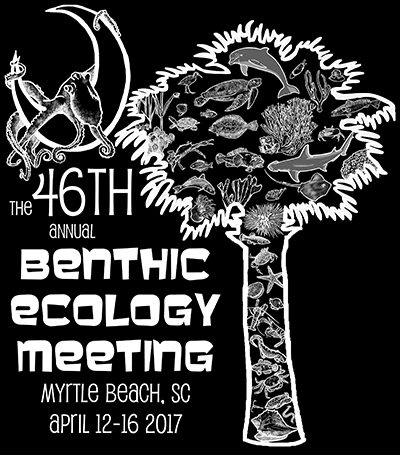 ​The joint meeting of the Benthic Ecology Meeting Society (BEMS) and the Southeastern Estuarine Research Society (SEERS) took place on April 12-16th in Myrtle Beach and Conway, South Carolina. The event comprised both the 46th annual Benthic Ecology Meeting and the SEERS 2017 Spring Meeting. The meeting theme was "Sustainable oceans in theory and practice." ​Please navigate the website through the selections on the left to find out more about the meeting.